Amritsar: Bibi Manjeet Kaur, wife of Dal Khalsa founder Bhai Gajinder Singh passed away in Germany two days ago. She breathed her last in a hospital where she was admitted since last few weeks due to multiple health problems. 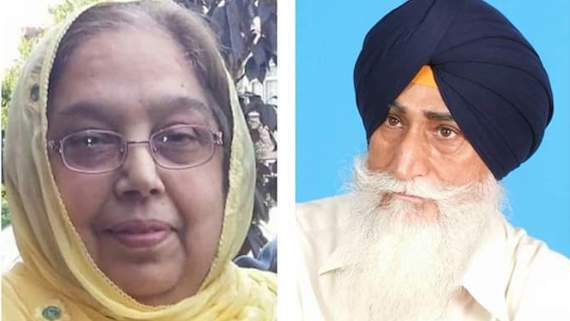 A statement issued by the Dal Khalsa from Amritsar today stated that Bibi Manjit Kaur was cremated in Germany yesterday where large number of Panthic leaders associated with Khalistan movement from US, UK, Canada, France, Swiss beside German were present. Her only daughter Bikramjit Kaur and son-in-law Gurpreet Singh from UK performed all rites. Since Gajinder Singh’s name figured in India’s 20 most wanted list, he cannot move anywhere in the world. Hence he was unable to participate in the funeral of his wife. Informing the media, Dal Khalsa spokesman Kanwar Pal Singh said Pakistan Sikh Gurdwara Parbandhak Committee has decided to perform path and ardas at Nanakana Sahib on Feb 1 and back in Punjab, theirs party will be holding Akhand path and performing antim ardas at Darbar Sahib, Amritsar on Feb 5. He said prominent Panthic groups and personalities and relatives of Bhai Gajinder Singh and his wife will join the prayers. Notably, Bhai Gajinder Singh was sentenced to life in Pakistan for hijacking the Indian plane in Sep 1981. He left his wife in Punjab, who visited Pakistan twice in 1986 and 1990 to see her husband in jail. 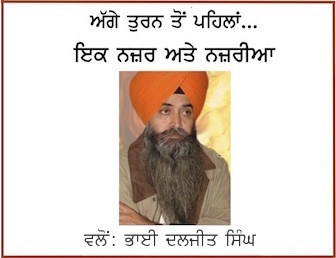 Bhai Gajinder Singh did not returned back to Punjab after his release in 1995 from Lahore prison. Last time when his wife visited Lahore to see him in 1991 didn’t returned back and after staying at Dera Sahib Gurdwara along with her daughter there, went to America and sought asylum but was refused the same. She was deported back to Pakistan where she went to Germany where the authorities granted her stay on medical grounds. Bibi Manjeet Kaur, 64 years, hails from Mohali where as Bhai Gajinder Singh was resident of Chandigarh before he hijacked the plane.